You've probably seen Yarrow in fresh flower arrangements as well as in dried wreaths. Yarrow flowers make a gorgeous addition to any fresh flower bouquet during the summer months although if it is dried flowers you prefer, dried yarrow adds vibrancy to any room in simple vase as the flowers retain their color wonderfully. Individual flower clusters can also look very nice in potpourri. The Yarrow flower is a hardy flower with showy flower heads composed of many tiny, tightly-packed flowers. Blossoms grow in flat-topped composite clusters at the top of the stems up to 1-metre-tall and produce attractive flower craniums that possess white rays and have, flat circular plates or discs inside them. The tiny blossoms may be rose or lilac colored, or a creamy white and color range to include clear whites, carmines, and an assortment of pinks and lilacs and are often aromatic. When displaying your yarrow flowers, they prefer a cool, humid room that is out of direct sunlight to keep them at their best. 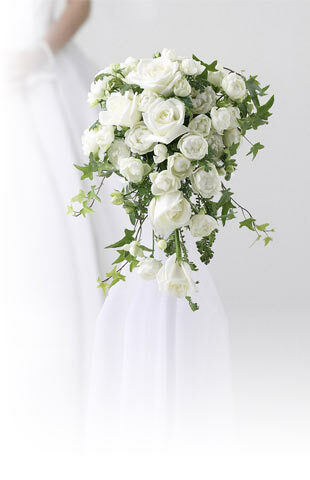 True to Flower Explosion’s excellent standards, we source all our flowers direct from the farm. Our achillea are cut-to-order and arrive at your doorstep just 3 days after first cut so to insure you flowers are the freshest possible. Browse and sort our wide variety of flowers (on the left) by type or color and be sure to check out the many additional services. 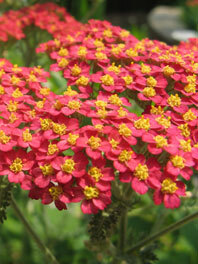 Buy Achillea flowers online now.